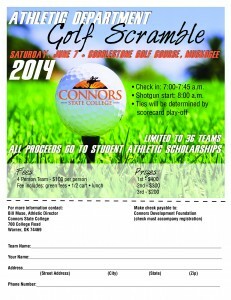 The Connors State College Athletics Department will hold its annual golf tournament on Saturday, June 7, 2014 at Cobblestone Golf Course in Muskogee.� The fundraising tournament is used to raise funds for athletic scholarships to Connors State College. 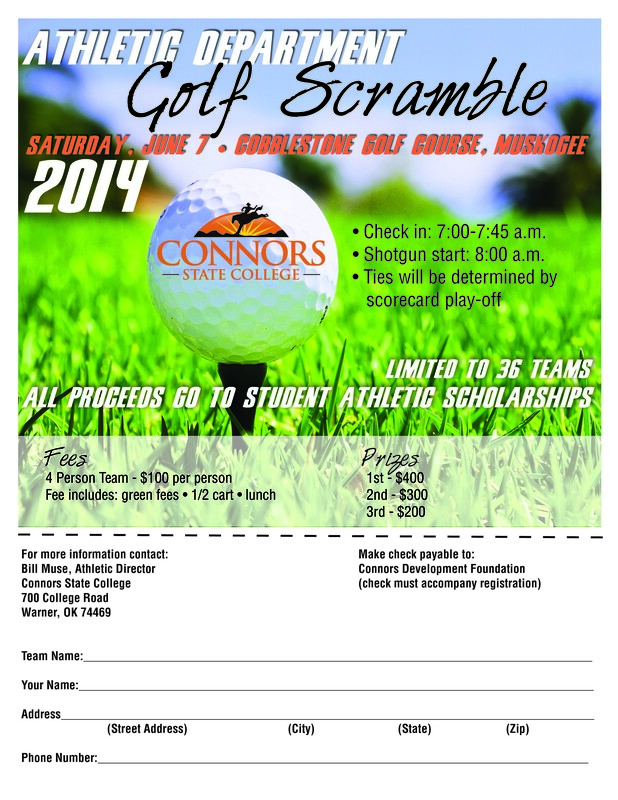 Check in will be held from 7:00 a.m. to 7:45 a.m. with a shotgun start at 8:00 a.m.� The $100 fee covers a four-person team, green fees, � cart fee and lunch.� Cash prizes will be awarded for the first, second and third place teams. For more information and a registration form contact Bill Muse, CSC Athletic Director, at (918) 463-6231 or download the form. installed to view some of the documents on this page.